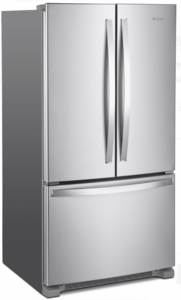 This French door model from Whirlpool offers 25.2 cu. 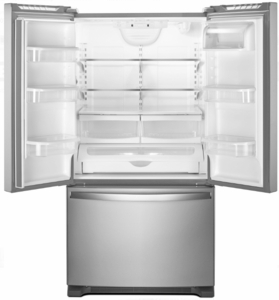 ft. of storage capacity and plenty of flexible storage options to accommodate all of your food items. The fresh food section features adjustable glass shelving, two humidity-controlled crisper drawers, a temperature-controlled deli drawer and six door bins. Simply put: there's a place for everything! An internal water dispenser features an EveryDrop™ filter to remove contaminants from your water. Inside the freezer section, you'll find a factory-installed ice maker keeping plenty of freshly filtered ice within easy reach. 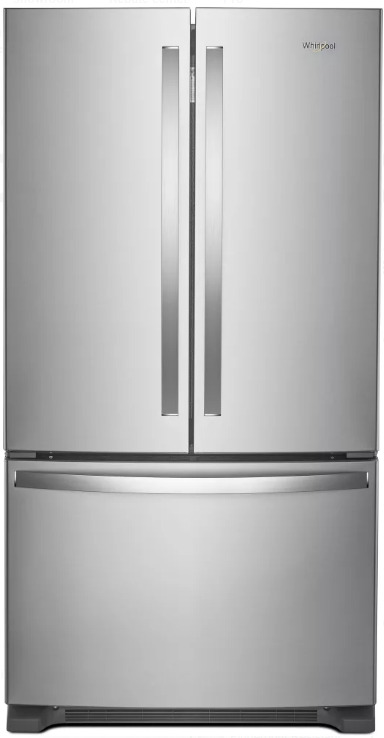 This model is ENERGY STAR® certified for outstanding energy efficiency. By conserving energy, you'll also save a small fortune in operating costs over the refrigerator's lifetime. Whirlpool's powerful EveryDrop™ filtration system removes contaminants so that your water is always fresh, clean and great tasting. 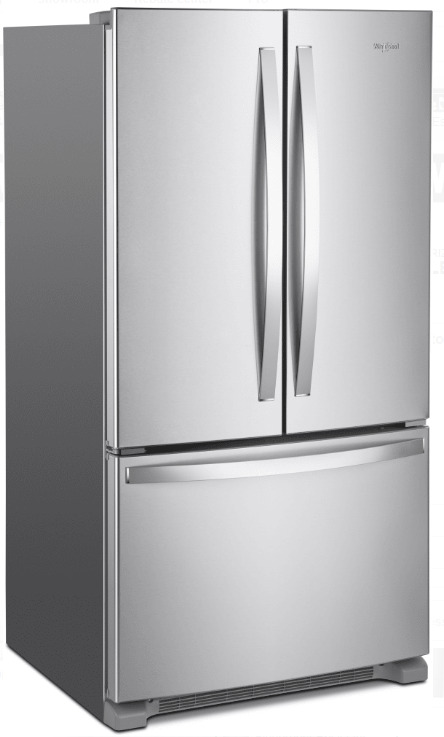 Plenty of ice is always on hand thanks to a factory installed ice maker in the freezer section. Store wide items like party platters and sheet cakes, or preserve large amounts of meat and cheese at just the right temperature. Store fruits and vegetables in their ideal climate conditions with dual humidity-controlled crisper drawers. 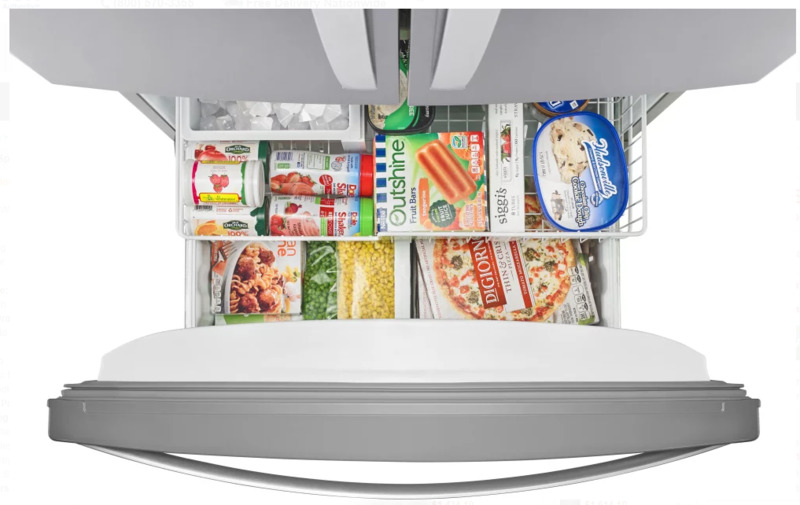 Extra spacious door bins are large enough to fit a gallon of milk, so you can save shelf space. These bins are also height adjustable for added flexibility. Cool food quickly with technology that senses and adapts to create the ideal environment for fresh food. Keep food looking as good as it tastes. 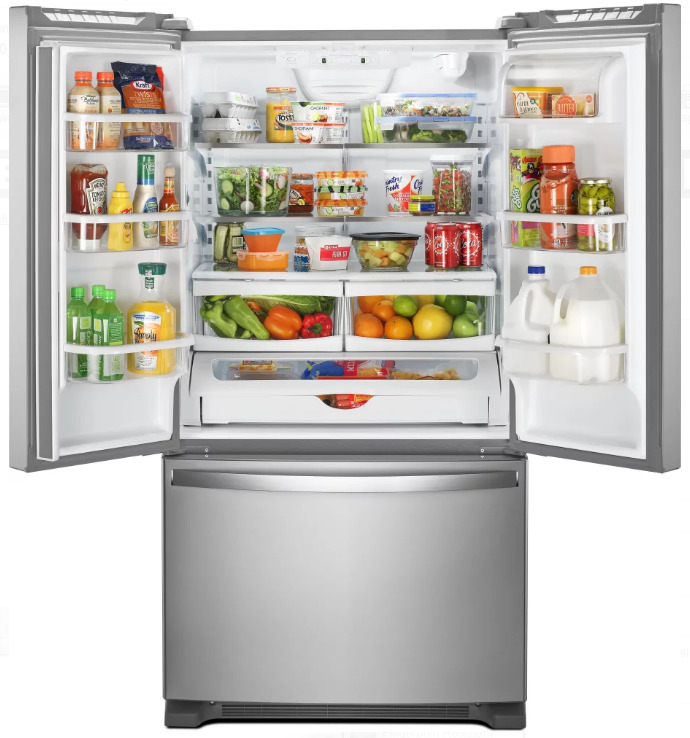 Natural light is cast inside the refrigerator so food is showcased elegantly and easy to find. 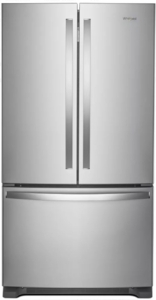 This model from Whirlpool exceeds federal regulations for energy efficiency, meaning it will save you on energy and money - less energy used means less money spent on utility costs.